Hong Kong, China, 2017-Nov-15 — /Travel PR News/ — This New Year’s Eve, Blue Bar at Four Seasons Hotel Hong Kong will be getting steamy with its Viva Cuba! New Year’s Eve Countdown Party. Guests will get the Havana vibe going with complimentary Panama hats for the men, fans for the ladies, and one Cuban cigar per person to be enjoyed on the outdoor balcony, transformed for the night into a cigar lounge. Meanwhile, DJ Re:Flex will be spinning Latin beats and the latest party tunes late into the night, Executive Chef Andrea Accordi will give guests a real taste of Cuba with a delicious snack menu and the Blue Bar mixologists will be shaking up new takes on classic cocktails worthy of Hemingway himself. Hailing from Washington, DC via New York City, Re:Flex started break-dancing at 17 and was quickly introduced to DJing. Since his first exposure to hip hop culture he has continued to experiment with all kinds of sounds, molding his cross-genre style into a provocative musical experience. Since relocating to Hong Kong in 2007, Re:Flex has rocked parties all over Asia, and in 2009 completed a pan-Asia tour with Hennessy Artistry. Playing alongside acts such as Ben Pearce, Skratch Bastid, Chali 2na, the Ting Tings, Nickodemus, the Cuban Brothers, Zinc and the legendary Doc Scott, Re:Flex has learned to adjust his style to the ever-changing crowd, while still remaining true to his roots, never shying away from his funky, soulful, bass banging past. 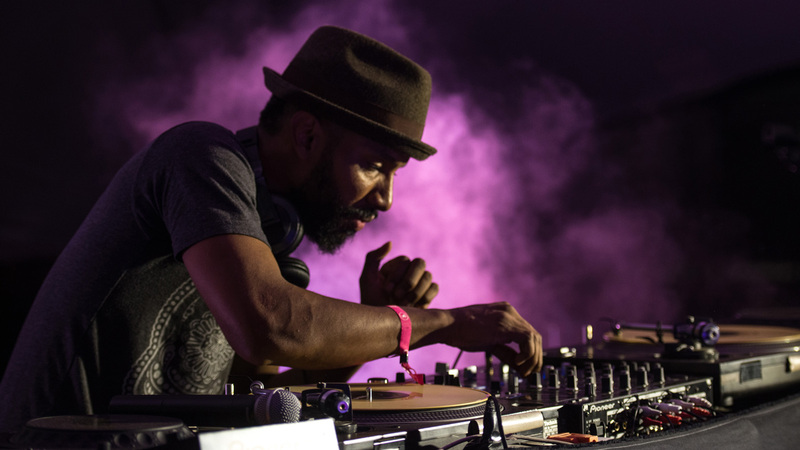 Listeners have dubbed his sets as unpredictable, esoteric and fresh. A little Spanish, a little African, very much of the Caribbean, Cuban food is an ever evolving cuisine. In that spirit, Chef Accordi has taken a nod from Cuba and to craft a late night snack menu of lux Latin bites. Dishes include wagyu beef empanadas, red snapper ceviche with kaluga caviar, and chicken and black truffle croquetas. Every guest will receive a complimentary Cuban toast with chipotle, avocado, seared salmon ceviche and Baikal caviar. Behind the bar, the star mixologists of Four Seasons have put their own spin on classic Caribbean cocktails such as with the Varadero, a lychee and grapefruit Mojito; and the Pape Doble, given an Asian twist with clarified yuzu juice mixed with white rum, maraschino liqueur and lime. To complement the Panama hats and fans, guests are encouraged to sport their best Latin flair. The best dressed couple of the evening will go home with a voucher for dinner for two at 2 Michelin star Caprice. The Santa Clara package is HKD 990 per person at the door and includes entrance fee, DJ performance, welcome drink and snack, one cigar and souvenirs. The Santiago de Cuba package is HKD 1950 per person in advance and includes entrance fee, DJ performance, complimentary snack, one cigar, souvenirs, selected Champagne, red wine, white wine and cocktails inclusive. Doors open at 10:00 pm on December 31, 2017. To book contact the Festive desk at +852 3196 8708 or by email at shop.hkg@fourseasons.com. This entry was posted in Entertainment, Festivals and Events, Hospitality, Hotels, Travel, Travel Services, Travelers and tagged Blue Bar, DJ Re:Flex, Four Seasons Hotel Hong Kong, Viva Cuba! New Year's Eve Countdown Party. Bookmark the permalink.